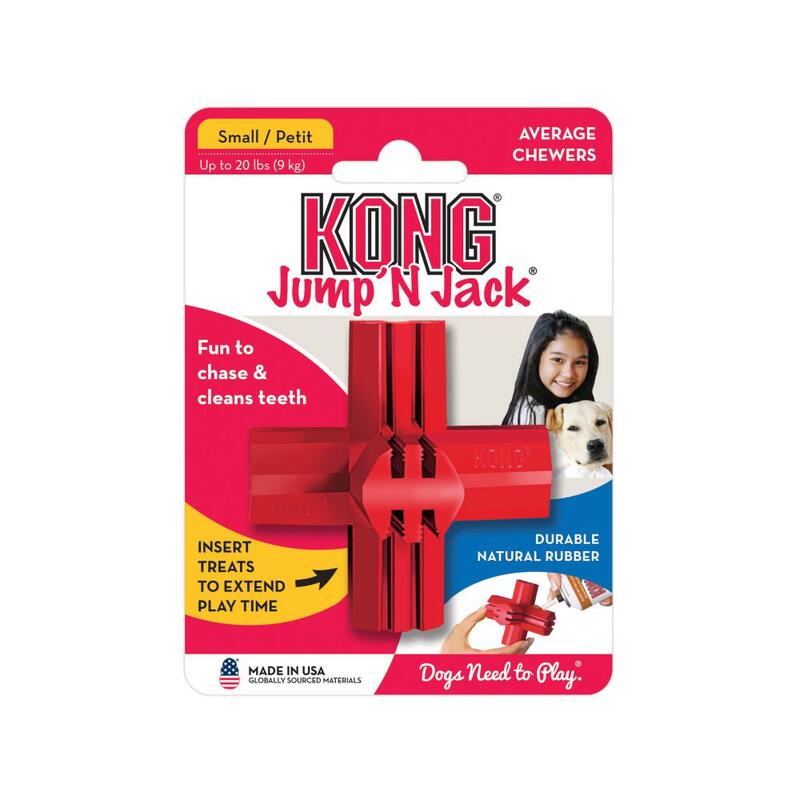 The KONG Jump’N Jack® has a fun bounce and unique design that’s great for chew sessions. 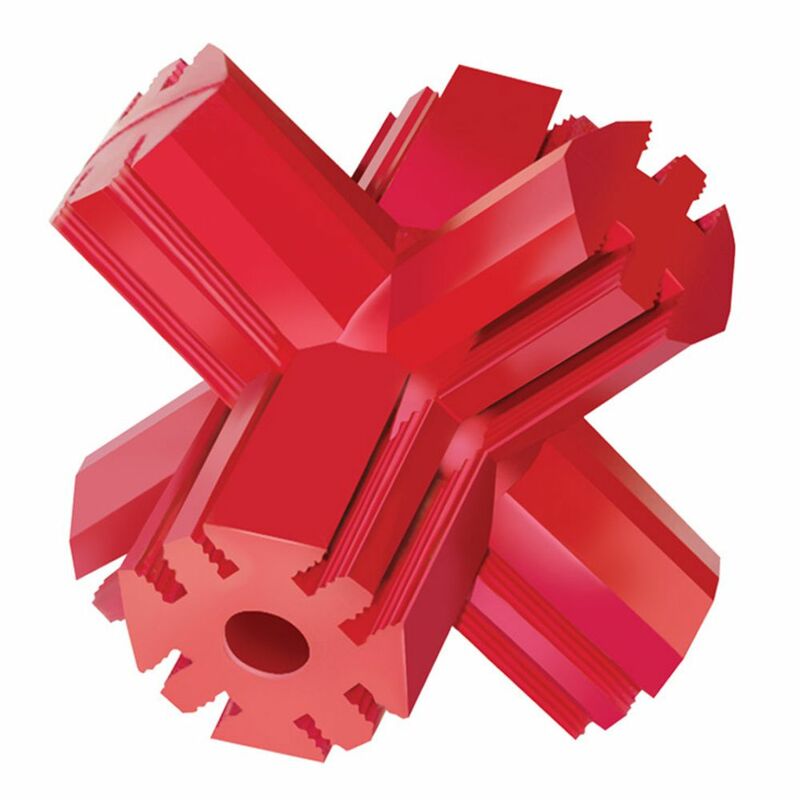 The Denta-Ridges™ reduce plaque while providing a gentle cleaning and conditioning of teeth and gums. 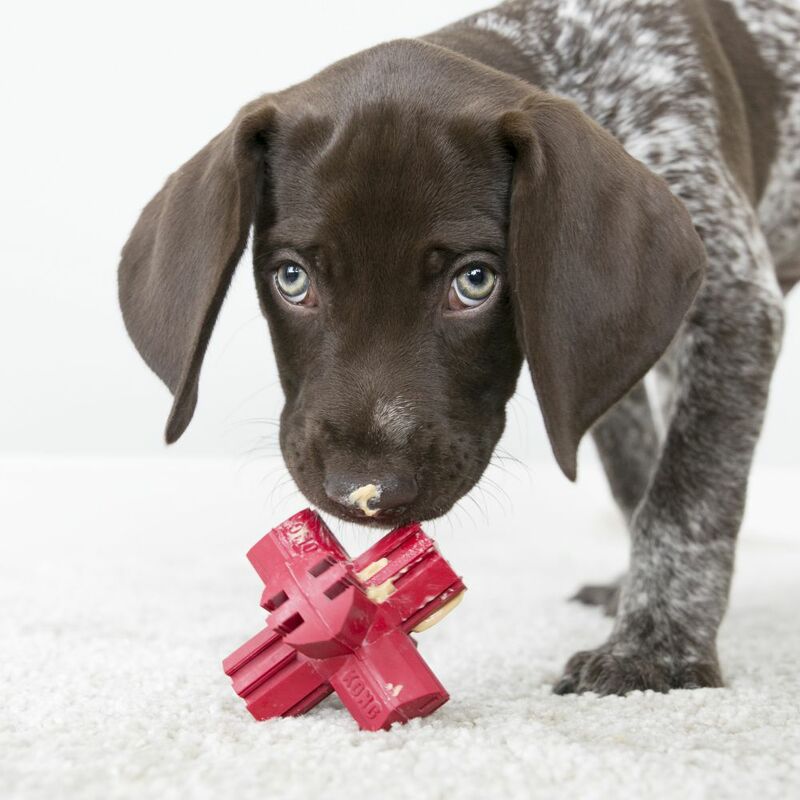 Fill the Denta-Ridges™ with Easy Treat™ or Peanut Butter to extend playtime and satisfy chewing instincts.